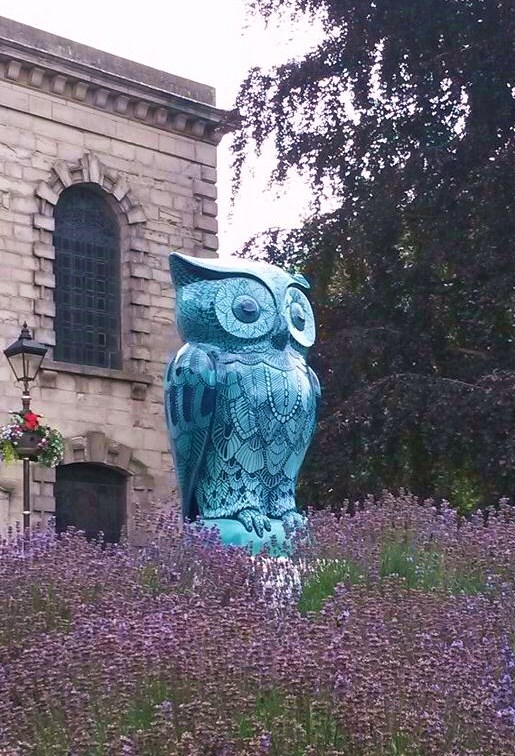 Today’s Friday photo is the Bejewelled Owl from this summer’s Big Hoot art trail, which stands in St Paul’s Churchyard in St Paul’s Square. The Big Hoot has brought businesses, artists, schools and the local community together to create a public trail of owl sculptures in Birmingham. 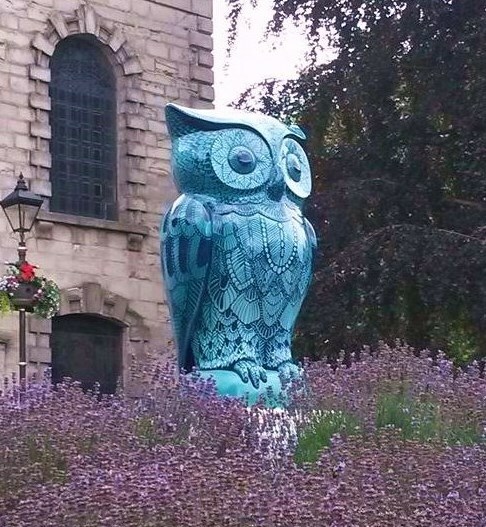 There are 89 Owls in total spaced around the city from Sutton Coldfield to Sheldon. I have been looking out for them on my travels and currently my favourite is this beauty. 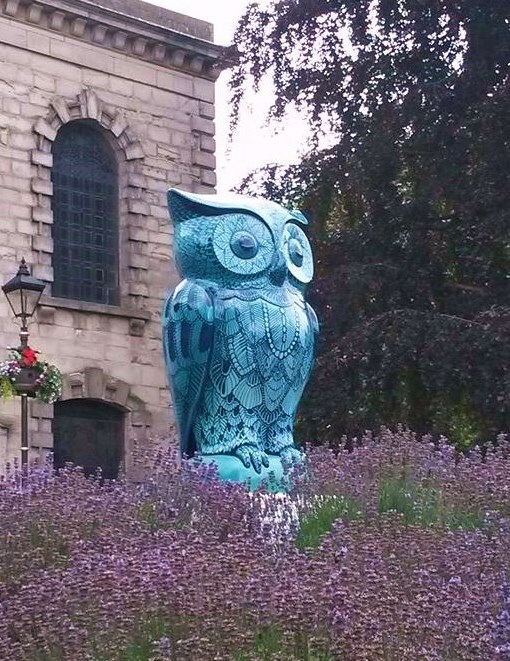 The placement of this particular owl surrounded by beautiful English lavender and set against the Georgian stone church is simply spectacular. It was painted by artist Claire Scully, who was inspired by the natural patterns that occur in wildlife. Sponsored by the JQBID the design also gives nod to the enamelling and jewellery techniques used by the master craftsmen of Birmingham’s of the famous Jewellery Quarter.